Each deeply etched all-natural rubber stamp is mounted with a thick foam cushion on an indexed wood block. The hardwood maple block features contoured sides for a sure grip and complete control. 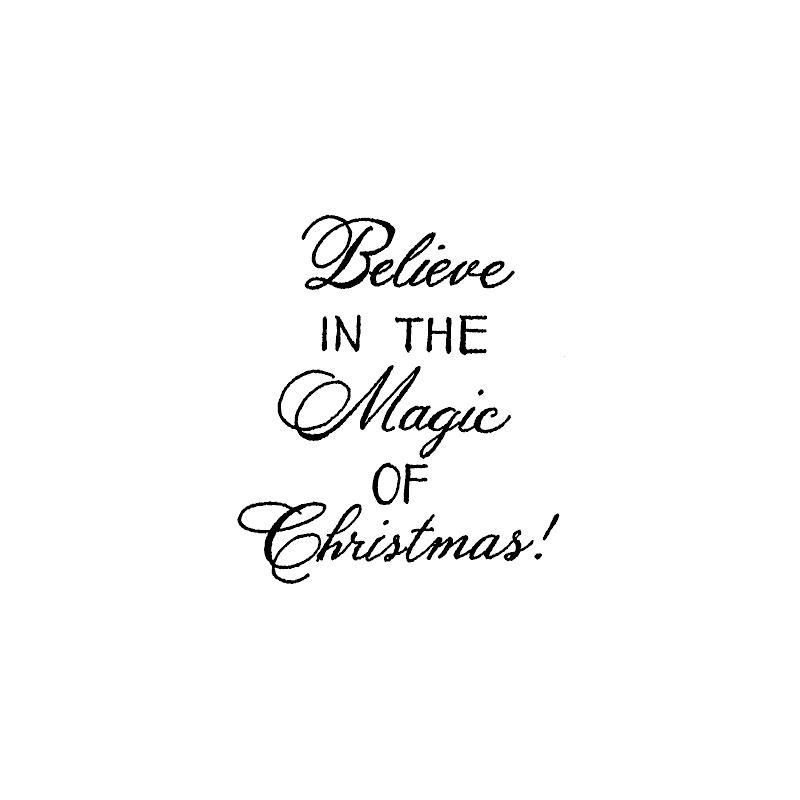 'Believe in the Magic of Christmas!' 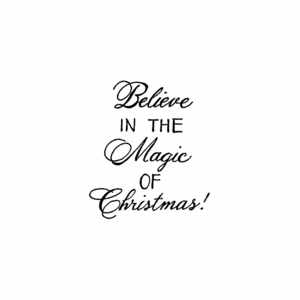 measures approximately 1 1/16" x 1 1/4".